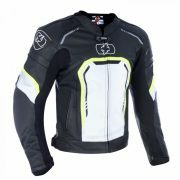 Leather sports jacket for warmer weather. SKU: LM183102. 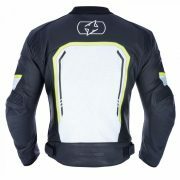 Categories: Clothing, Leather Jackets. 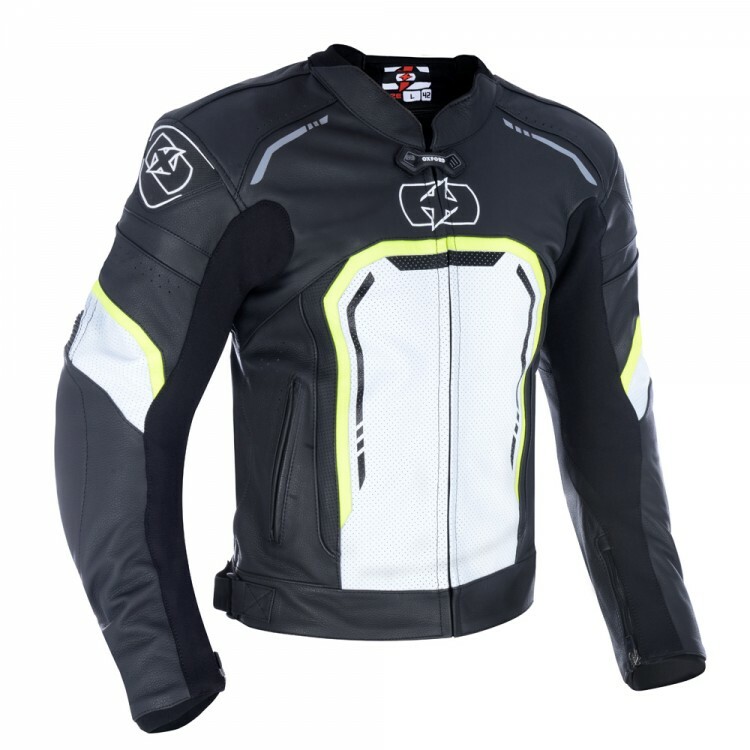 Mandarin style collar suitable for sports bike riding with neoprene lining around the back of the neck for extra comfort in the riding position. Zip cover at the neck line. 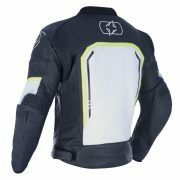 Fully ventilated, this short style leather jacket has TPR shoulder cups, hand warmer pockets and placement perforations on front, upper arms and shoulders which allow the leather to keep its integrity at the seams. The entire chest area has fully ventilated leather to keep the rider cool. Stretch panels down the full length of the inside of the arms, auto lock YKK zips which allow the zips to be locked in position, stopping them riding up. 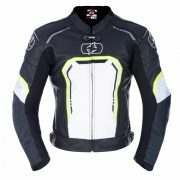 Neoprene is included around the cuffs for greater comfort and inside has a leather gusset. On the rear of the jacket there are stretch panels on the shoulders and the back of the arms, adjustment straps on the hips are provided for a custom fit and features embossed Oxford logos. Provided with level 1 CE protectors at shoulders and elbows. 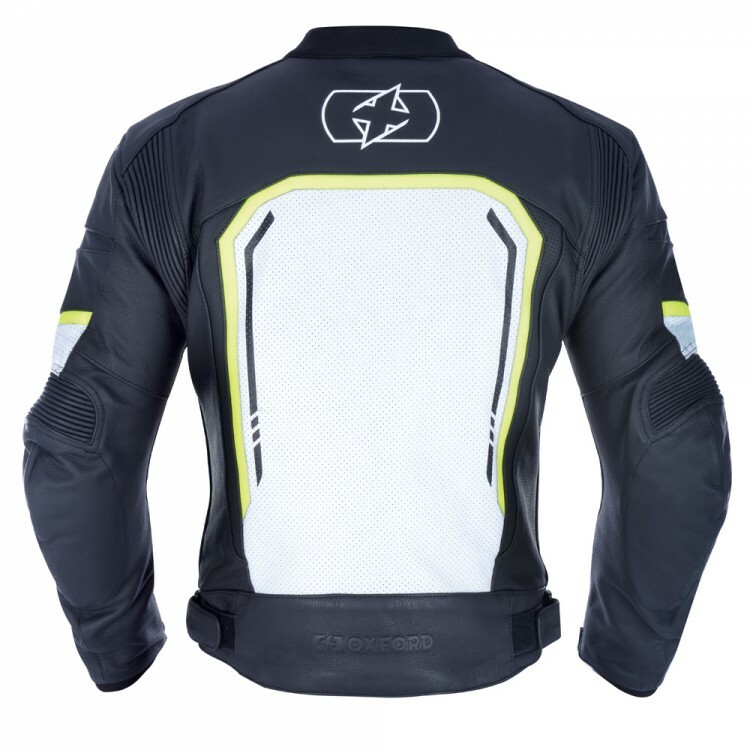 Pocket is provided to take Oxford back protector which is available separately.